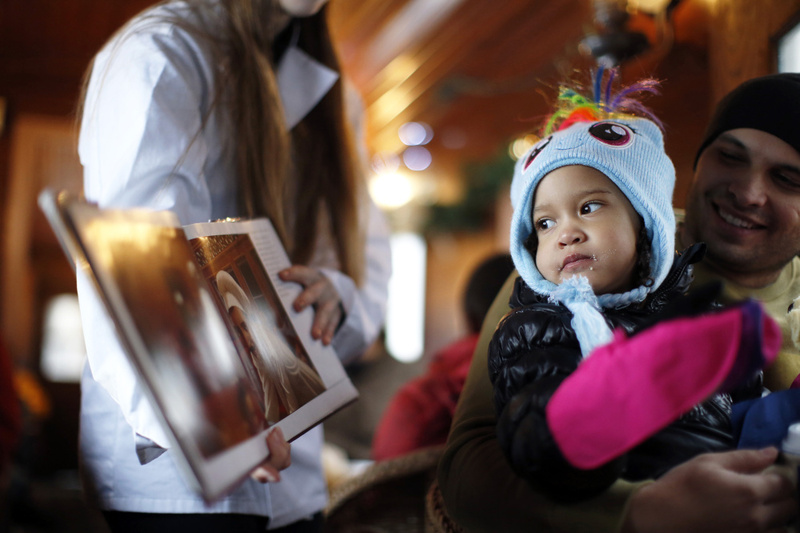 Ava Clark, 3, of Utah, rides in the lap of her father, Tyler Clark, while reading along in "The Polar Express," children's picture book on a book-themed ride presented by the Maine Narrow Gauge Railroad. 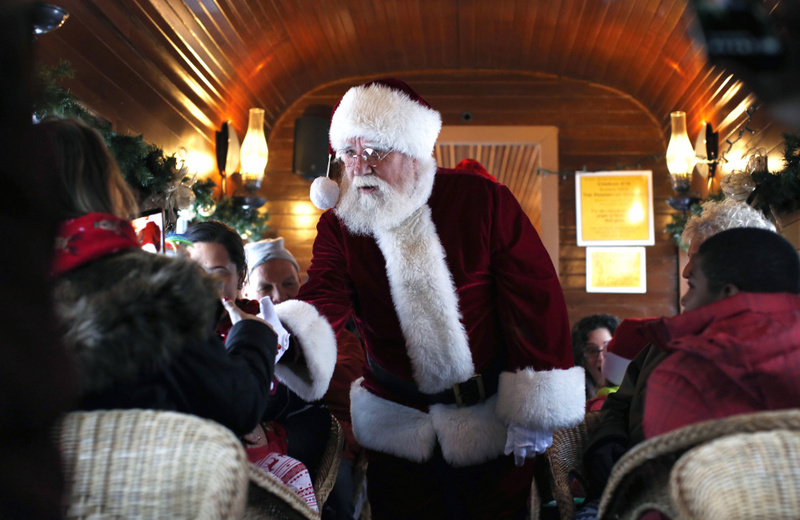 Santa Claus makes the rounds aboard the Polar Express. 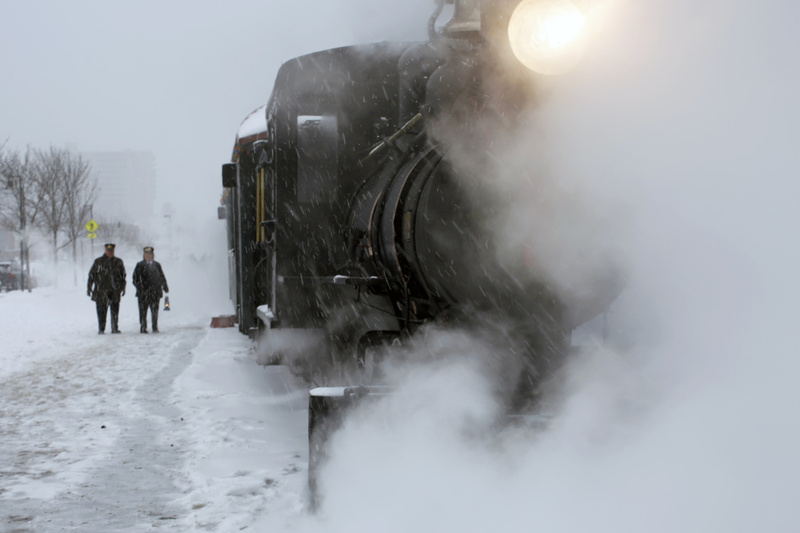 Conductors wait outside the steam-enshrouded Polar Express before departing on an afternoon trip along Portland's waterfront. 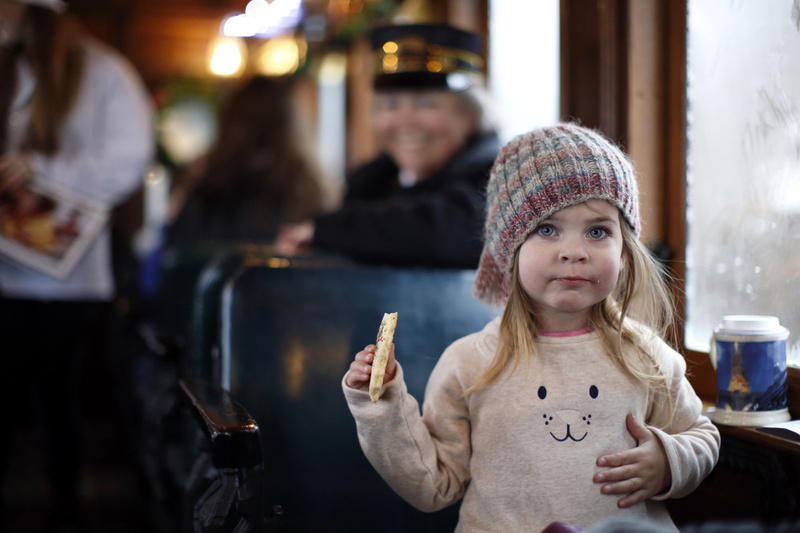 Ava Smith, 3, of Danby, Vt., eats a sugar cookie aboard the Polar Express. 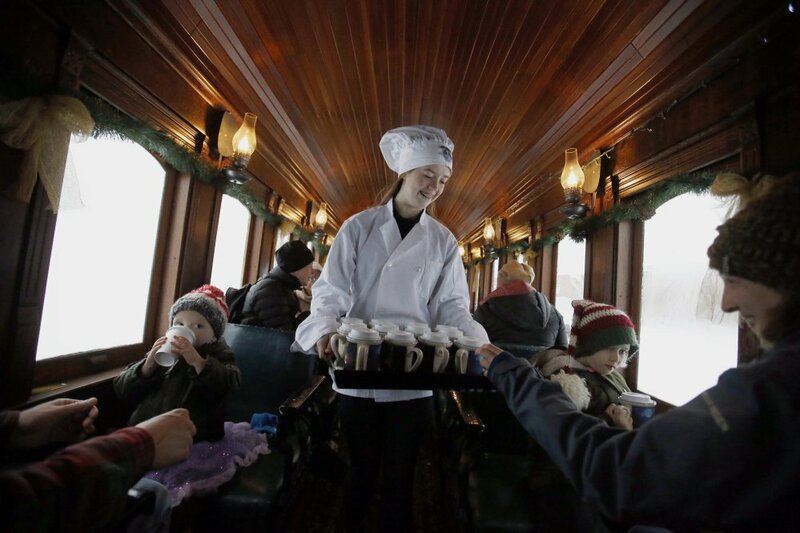 Lydia Valentine serves mugs of hot cocoa during a ride on the Polar Express. 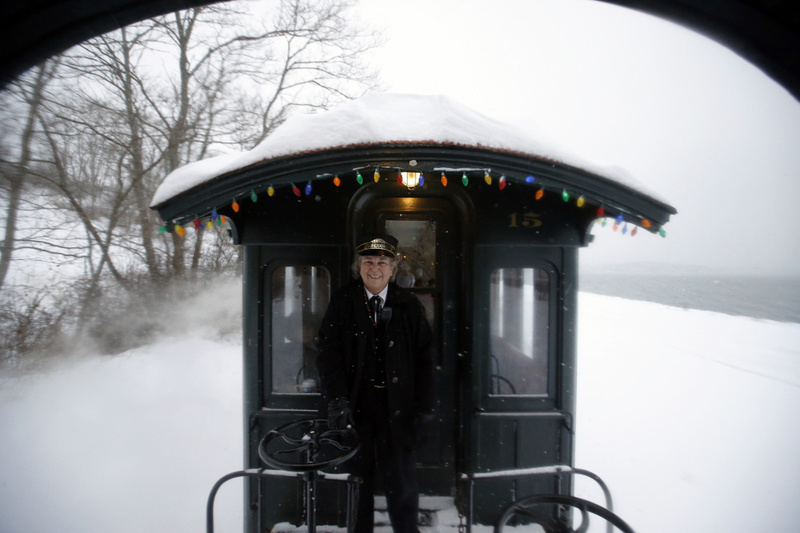 Conductor Sharon Roberts rides between train cars on the Polar Express. She has been working the past seven seasons "to see the look on the children's faces. 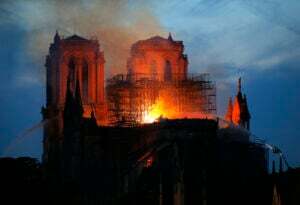 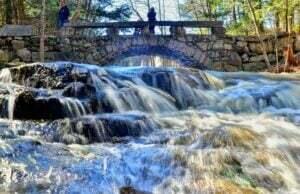 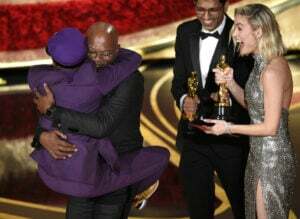 It's magic."